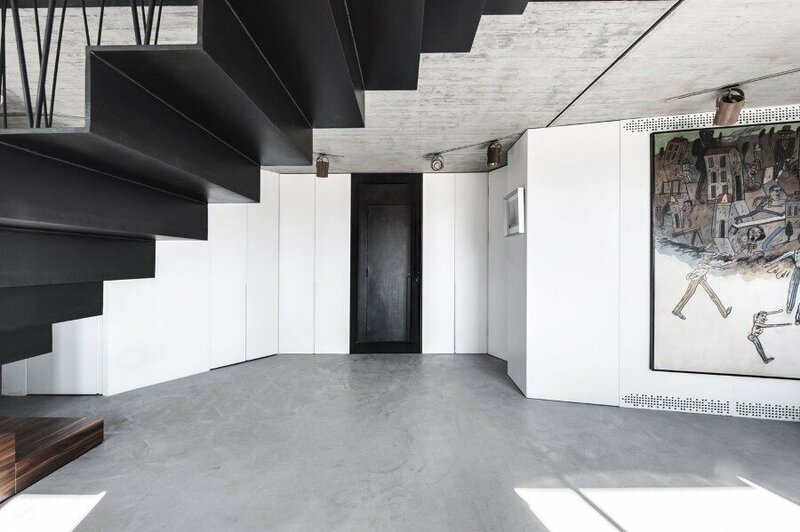 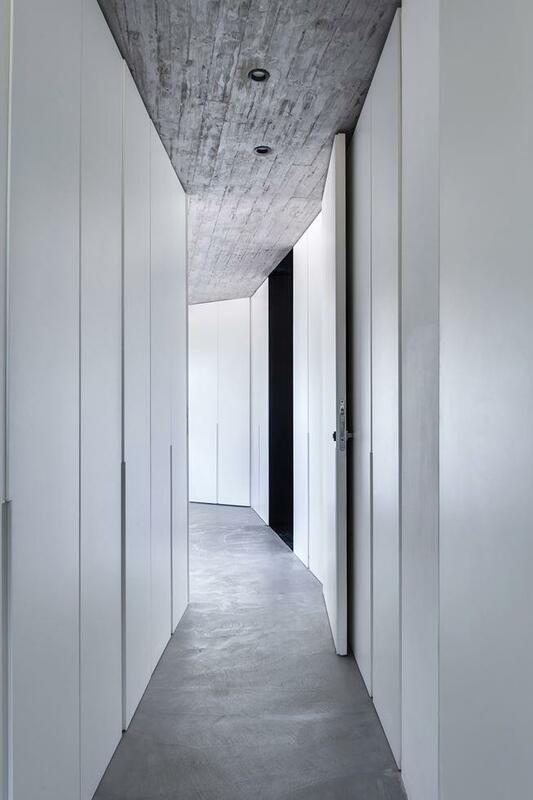 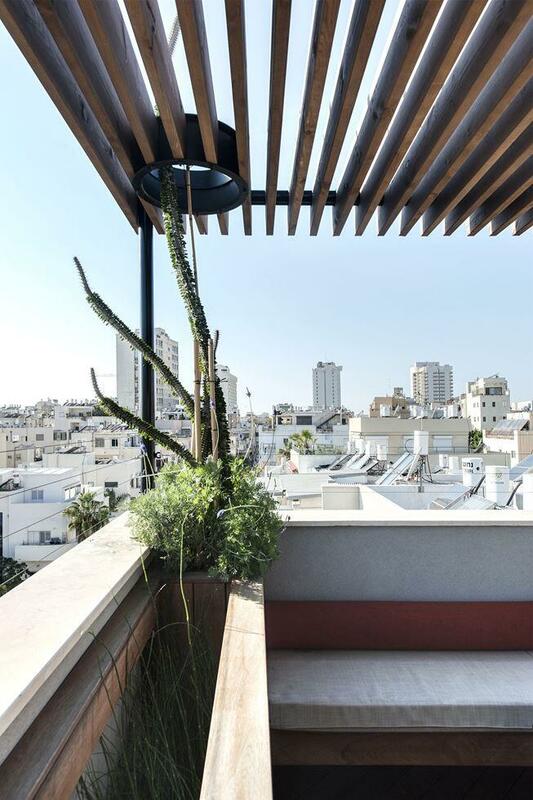 This is a Duplex Penthouse apartment with a big Roof terrace that was completely renovated by architect Gabrielle Toledano. 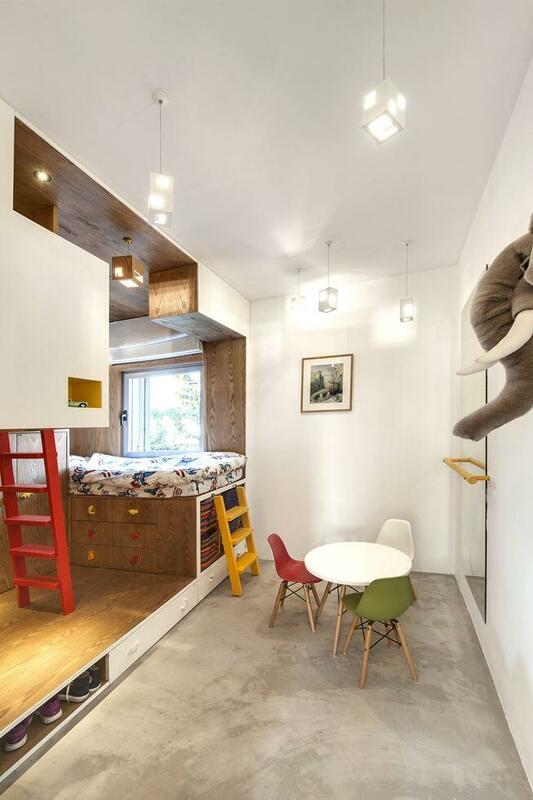 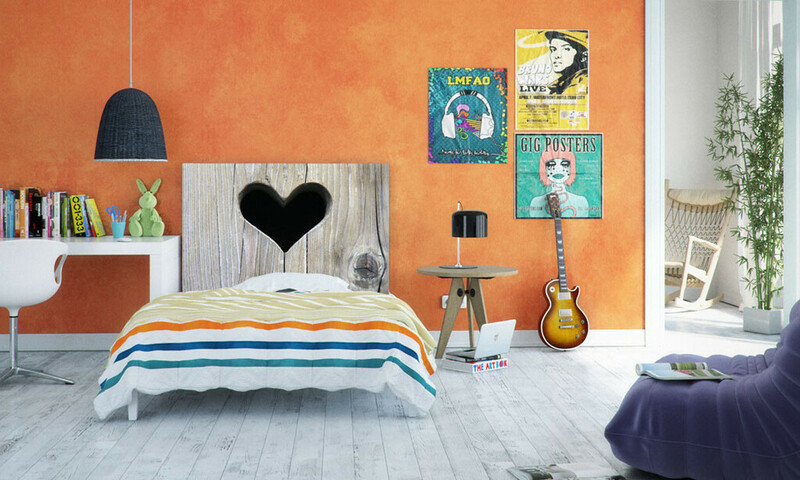 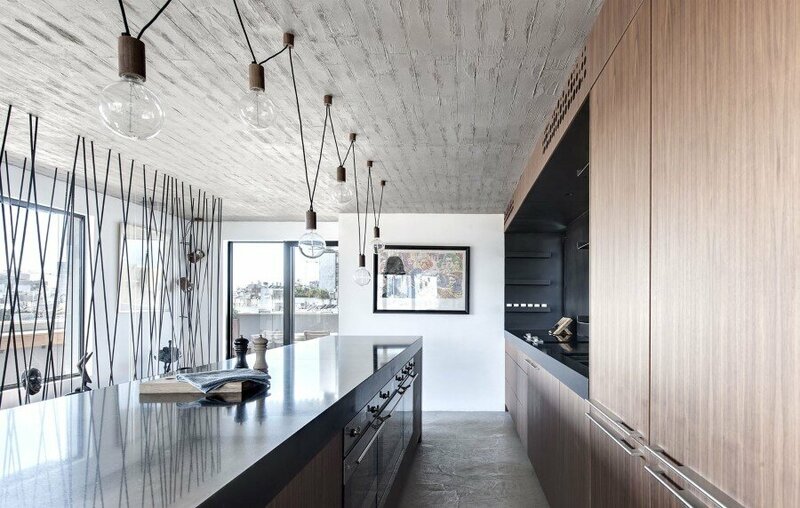 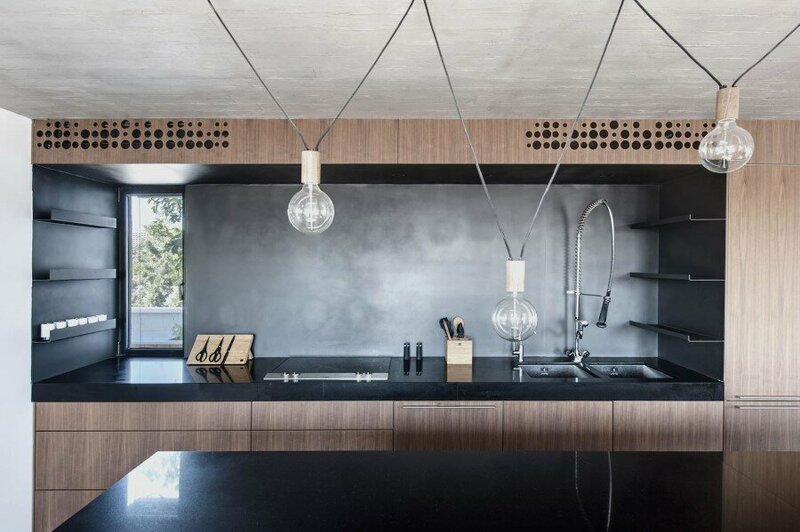 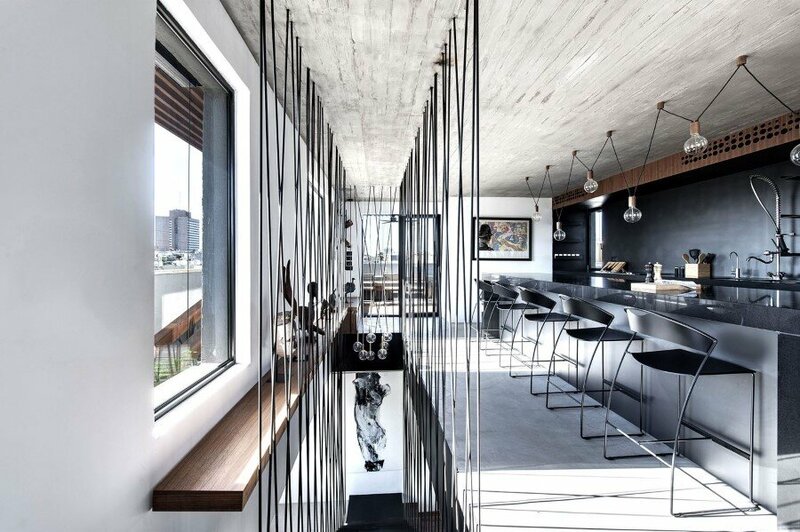 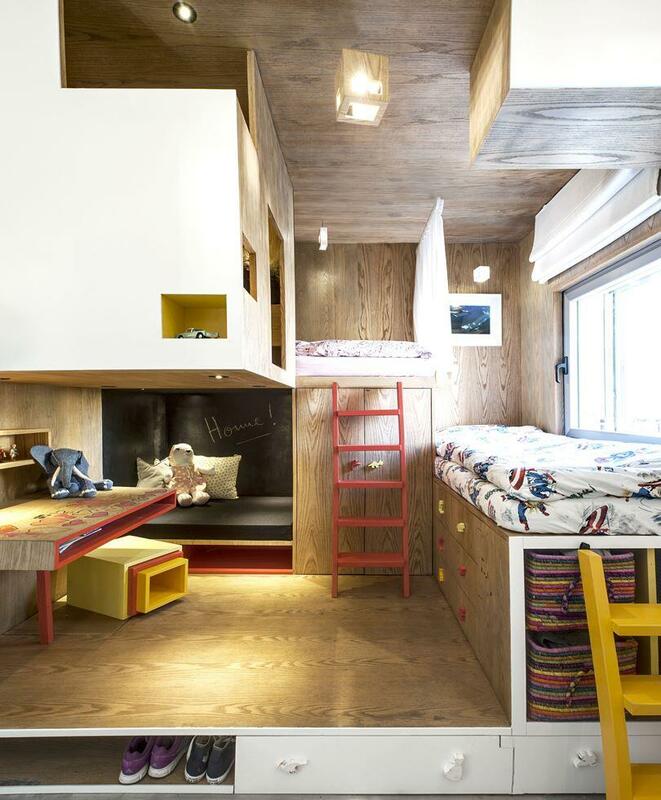 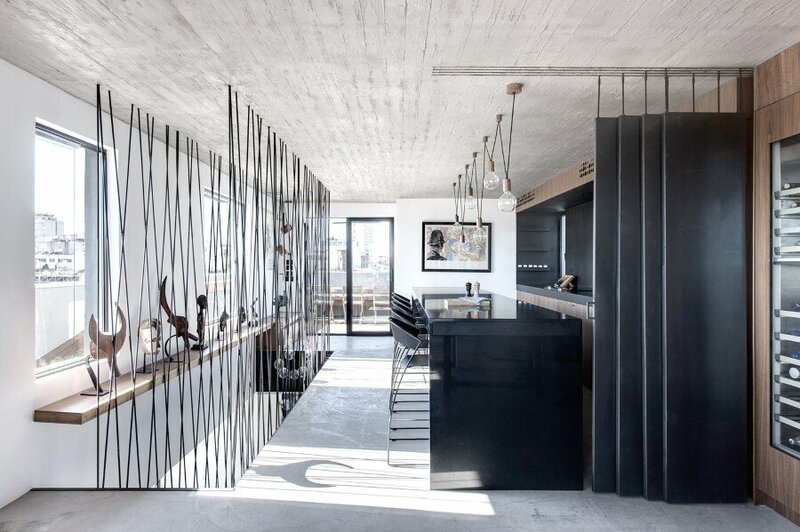 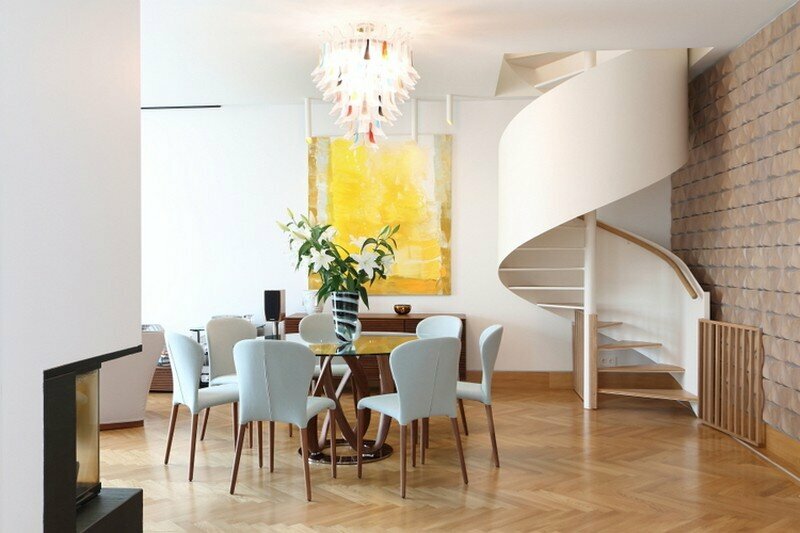 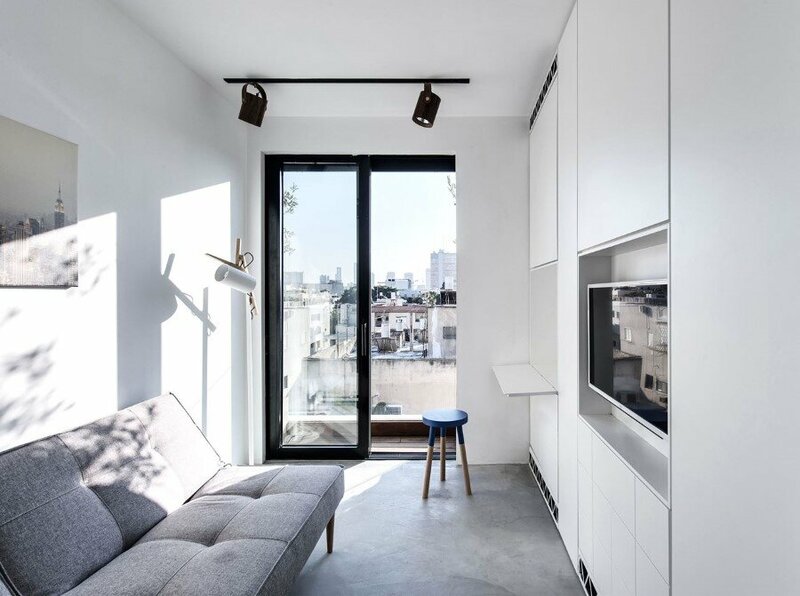 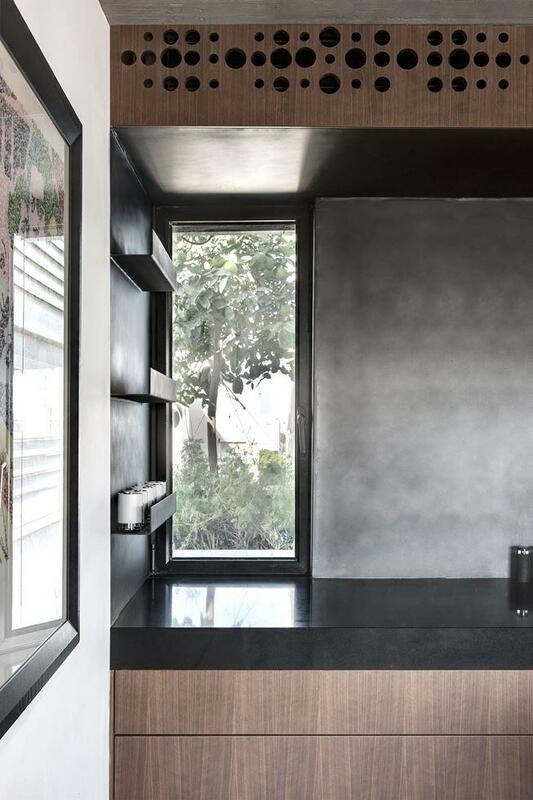 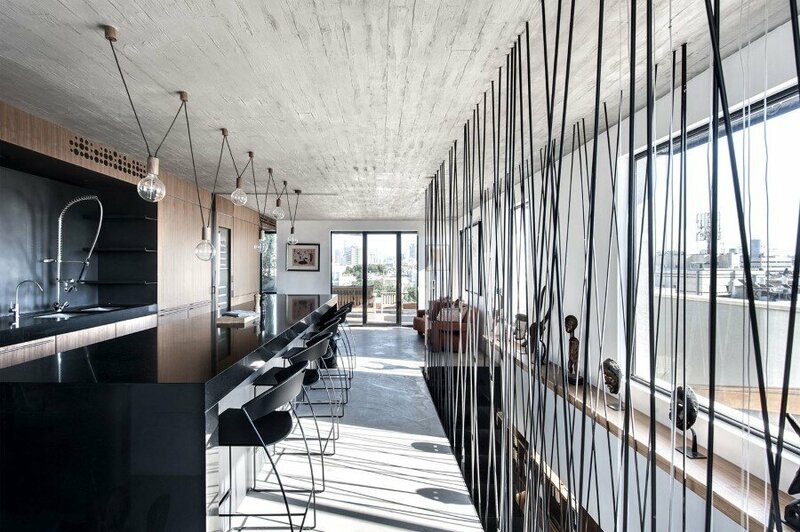 This elegant Duplex Penthouse is located in Tel Aviv and the clients are a family with children. 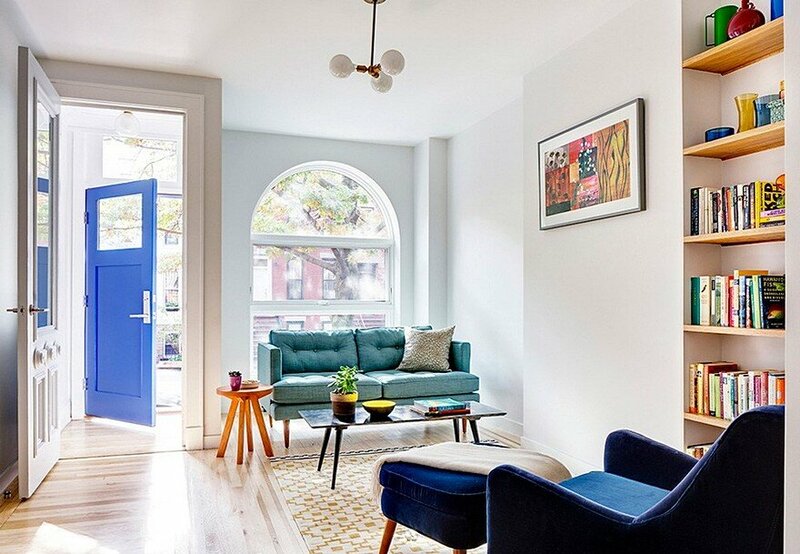 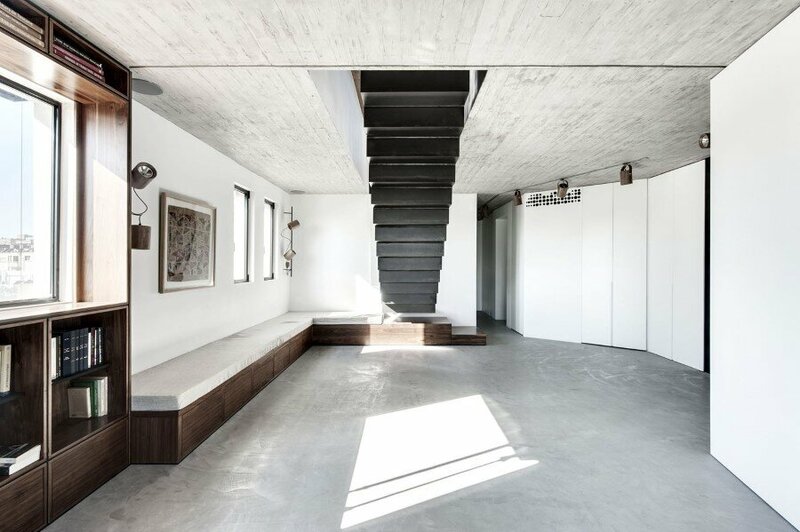 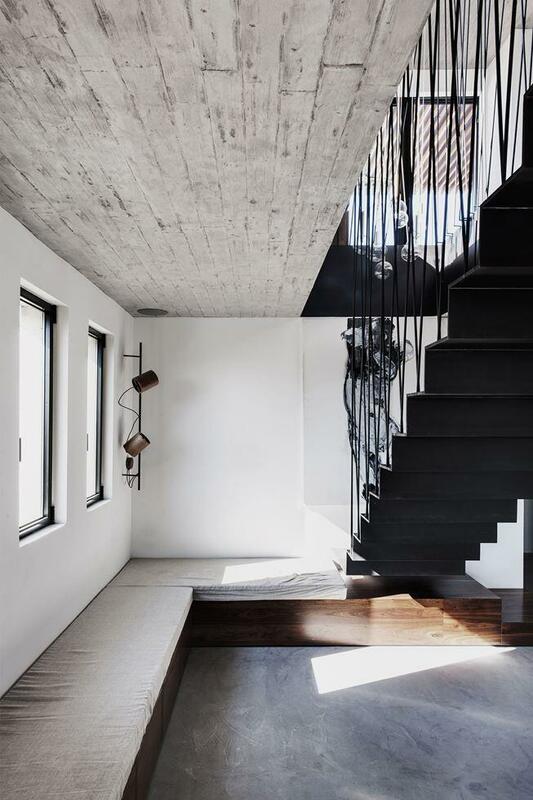 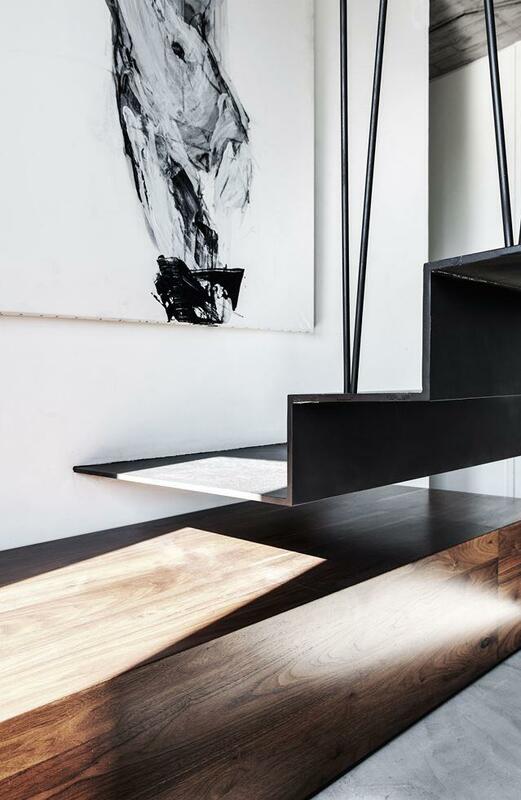 The hanging metal stairs articulate all the space creating graphic shadows. 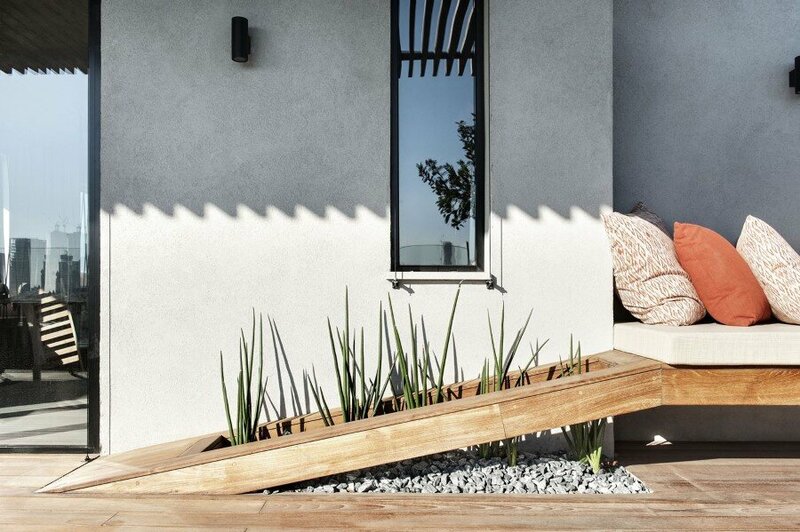 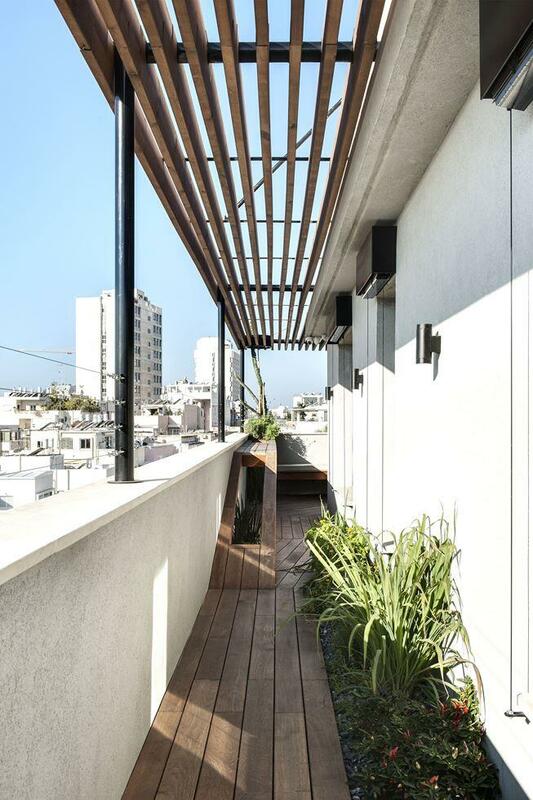 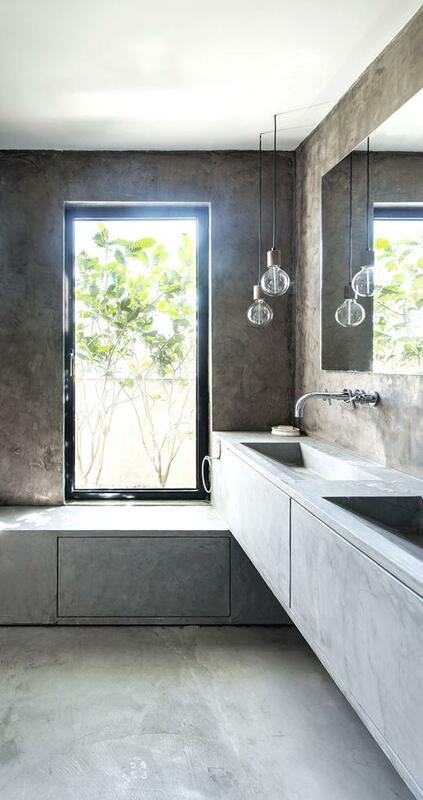 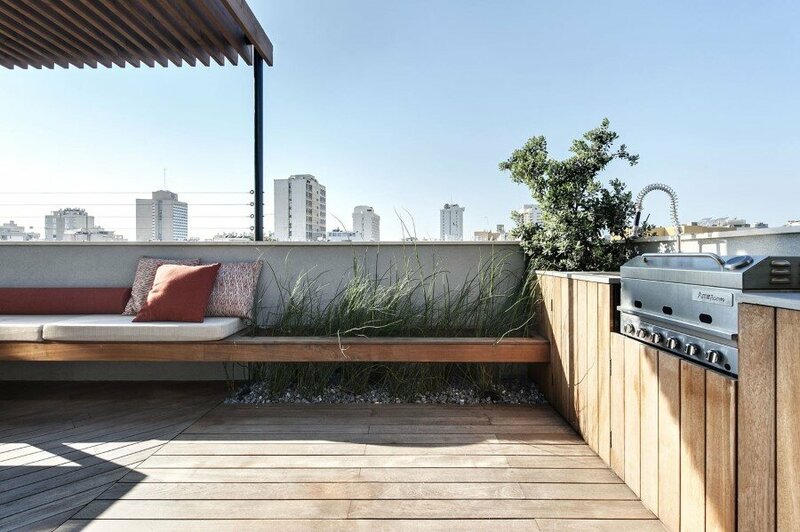 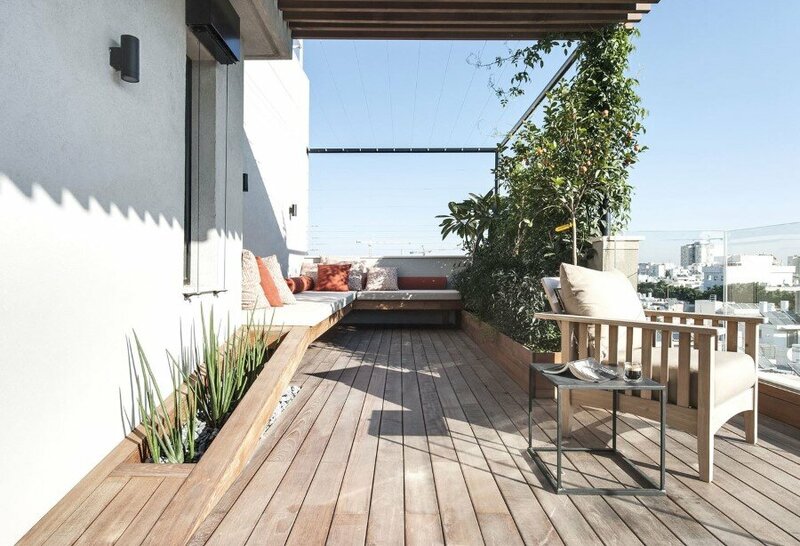 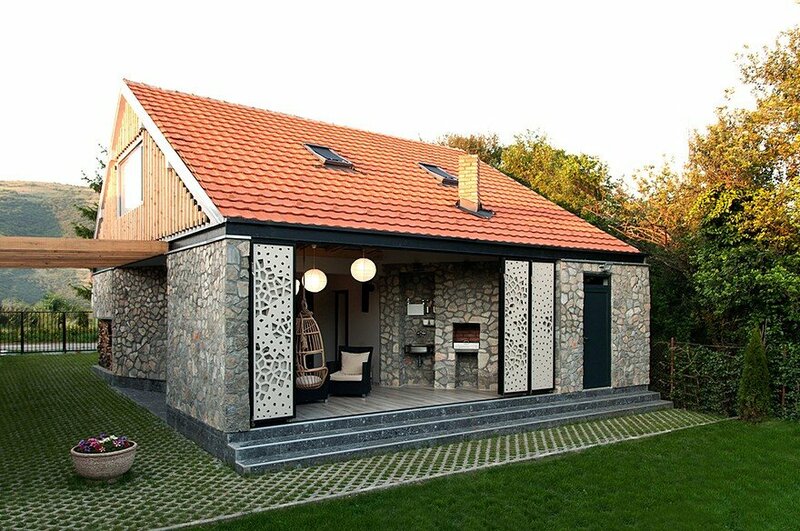 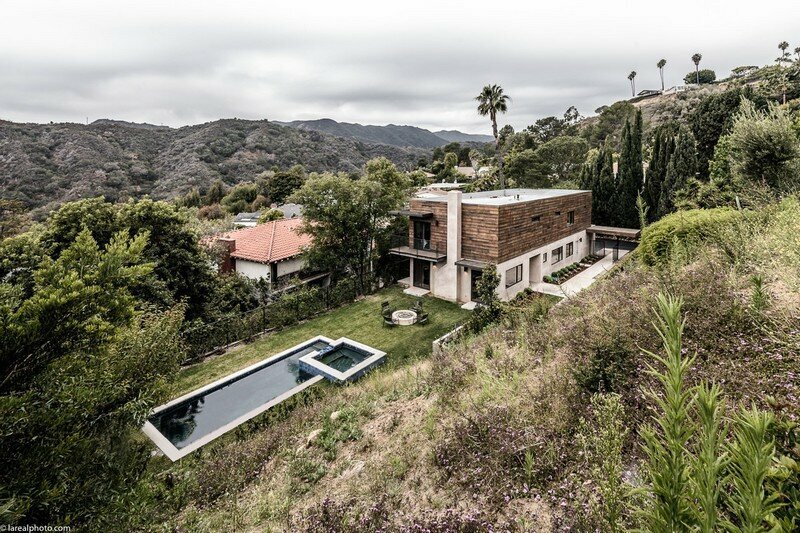 The exterior was designed as the extension of the interior with a big wood pergola all over it and lots of plants since in Tel aviv, the weather allows to use it more than 9-10 months a year. 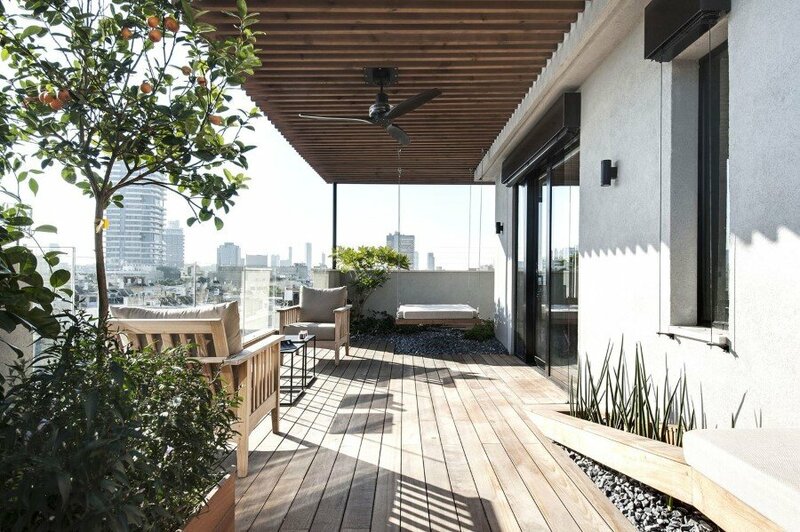 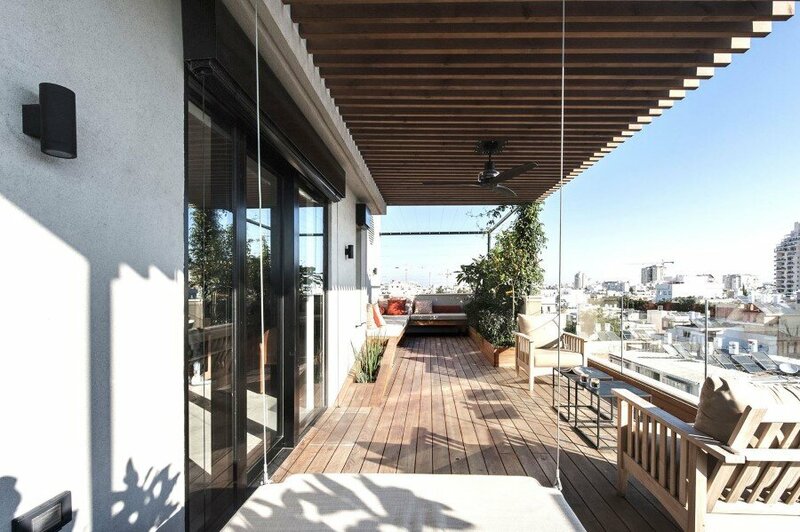 Tho wide wood pergola creates a frame to the skyline of Tel Aviv. 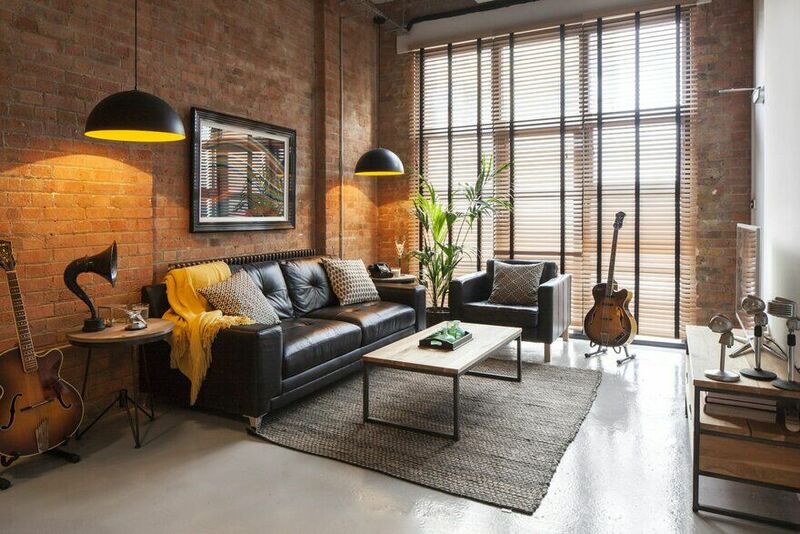 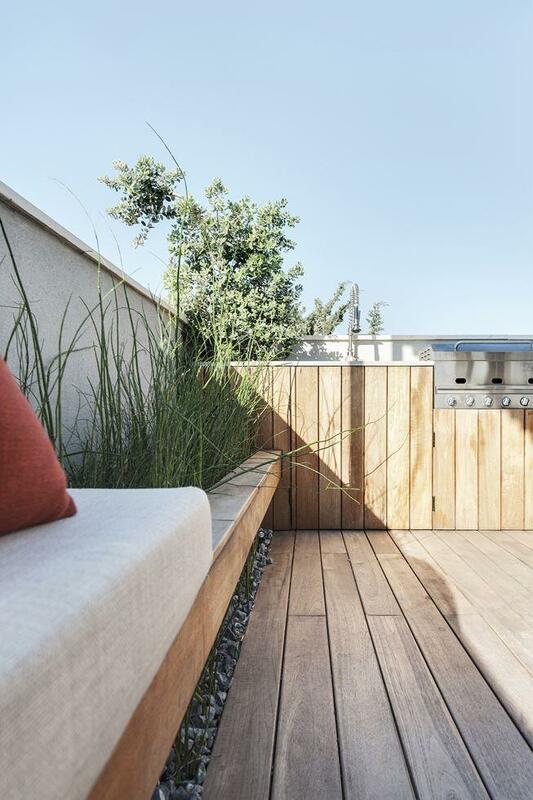 Teak wood was used to create lines that never end, changing direction and going up and down to become benches, plant pots, an outdoor kitchen, a swing or a bar. 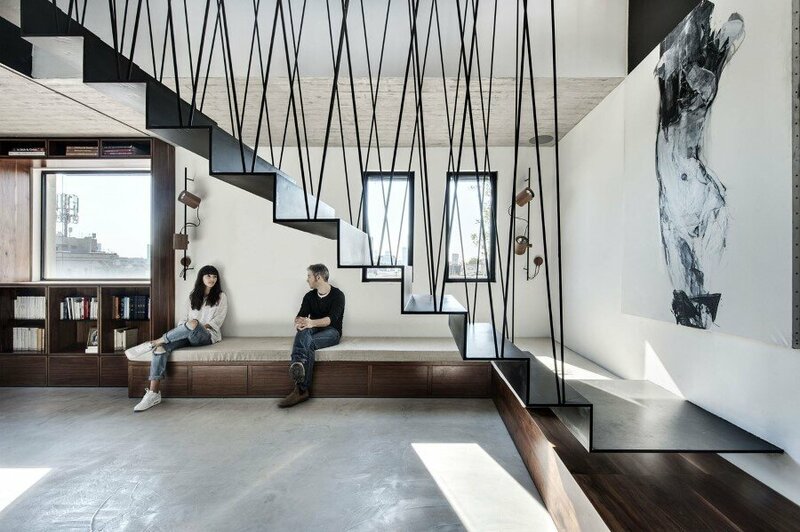 The project plays with natural light, bright and powerful in the middle east.